Nobody Does Anything, And Fukushima Will Kill Us All! From the Nuclear “Buchenwald touch” (Hamilton’s words in 1950) to Nuclear Extermination…. Unfortunately, many ignored Hamilton’s advice, and now generations of people (along with animals) have been senselessly experimented upon, both directly and indirectly, and often unaware. The very mind set which created the nuclear age, nuclear “scientists”, the nuclear industry, and today’s nuclear lobbyists, is the same one which created Nazi Germany, Nazi experiments, and the Holocaust -a will to power; a will to be as gods, by wielding the power of life and death, and the concomitant supercilious, callous disregard for life itself; in conjunction with a view of life as machine; life as instrumental means to an end. 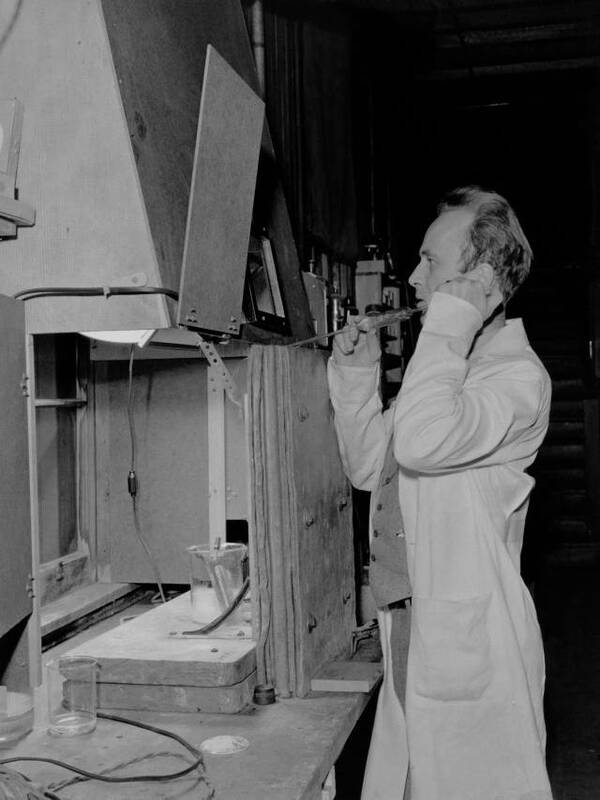 At the time, exposing people to large doses of ionizing radiation was a “little of the Buchenwald touch“. Now we are moving toward nuclear extermination of all life itself, a nuclear holocaust, where gamma radiation burns us from without, and explosive alpha radiation burns us from within. Since the dawn of the nuclear age, approximately 70 years ago, deadly radionuclides have been increasingly spread throughout the environment. They continue to accumulate in the environment, which is something that we are never told, but the facts do not lie: radionuclides with half-lives of hundreds and even thousands of years are obviously still here. If the nuclear age is not stopped in its tracks, we will have not just a Holocaust genocide of an ethnic group, but indeed of the entire world. Given the high-handed, callous disregard for life by most leaders, and by agencies which are supposed to protect food and the environment, it is hard to judge when we will cross the threshold from life to extermination. The long-accepted standard of no safe dose of ionizing radiation, increasing dose is increasing risk, applies to external x-rays and gamma rays (gamma emitters are also accumulating in the environment). The impact of internal, more powerful, alpha radiation, such as comes from plutonium and americium, is recognized as much more severe. Alpha radiation is internal, more intensely damaging, and some alpha emitters, such as plutonium and americium, can stay in the body for a life-time, continuing their intensive bombardment. The same nuclear energy which makes powerful weapons bombards our cells and our very DNA. After over two thousand nuclear tests, of which at least 500 were above ground http://en.wikipedia.org/wiki/Nuclear_weapons_testing (the tests themselves often involved multiple bombs, and some underground tests vented, making a count difficult), and after numerous nuclear accidents large and small, known and unknownhttp://en.wikipedia.org/wiki/Nuclear_and_radiation_accidents, and the fact that nuclear (and medical) facilities are legally allowed to emit some radionuclides into the environment (and may illegally emit more), and the problem of nuclear waste, which is also emitted legally and illegally – plutonium and other radionuclides with half-lives of hundreds and thousands of years are building up in the environment and being ingested in food and water, absorbed through skin, and breathed in the air. Finding a “magic bullet” which will cure the damage done by this high power radiation, especially in the context of a contaminated environment, is more impossible than hoping to heal the anti-Nazi German women in the picture below, or other victims. No sane person sits in a burning house with the hope that doctors can cure the burns, the tissue damage, induced by the fire. When people self-immolate, and set themselves afire in protest, it is to commit suicide. And, yet we are led to believe that there will be some magic bullet, magic cure for the damage done by nuclear ionizing radiation, which damages tissue, cells and even our very DNA, both externally and internally! We are increasingly convinced that the reason that there is so little monitoring of radionuclides, in the aftermath of accidents, and the primary reason that the focus is always on short or intermediate lived radionuclides like Iodine 131 and Caesium 134 or 137, is that we can watch them decline in the environment over time. Not so with many radionuclides such as the hyper-dangerous alpha emitters, plutonium and americium (see further down). As they accumulate in the environment, so too they will accumulate in the body. Even in a clean environment many stay for extensive time-periods. But, in a contaminated environment they reach steady-state equilibrium. Most are toxic biochemically, as well as radiologically. “Acute radiation syndrome (ARS), also known as radiation poisoning, radiation sickness or radiation toxicity, is a constellation of health effects which present within 24 hours of exposure to high amounts of ionizing radiation. The radiation causes cellular degradation due to damage to DNA and other key molecular structures within the cells in various tissues; this destruction, particularly as it affects ability of cells to divide normally, in turn causes the symptoms. The symptoms can begin within one or two hours and may last for several months. The terms refer to acute medical problems rather than ones that develop after a prolonged period. The onset and type of symptoms depends on the radiation exposure.Relatively smaller doses result in gastrointestinal effects such as nausea and vomiting and symptoms related to falling blood counts such as infection and bleeding. Relatively larger doses can result in neurological effects and rapid death. Treatment of acute radiation syndrome is generally supportive with blood transfusions and antibiotics, with some more exotic treatments such as bone marrow transfusions being required in extreme cases. The long-accepted standard of no safe dose of ionizing radiation, increasing dose is increasing risk, applies to external x-rays and gamma rays. The impact of internal, more powerful, alpha radiation, such as from plutonium and americium, is recognized as much more severe. Alpha radiation is internal, more intensely damaging, and plutonium and americium can stay in the body for a life-time, continuing their intensive bombardment. Their half-life in the body is 20 to 50 years or more, assuming contamination free food, water, air. Note that 239Pu is an alpha emitter with a half-life of 24,110 years, 240Pu is an alpha emitter with a half life of 6,561 years, 241Pu is a Beta emitter with a half-life of 14.325 years, but which becomes 241 Americium which is a strong alpha emitter with a half-life of 432 years, and 242Pu is an alpha emitter with a half-life of 373,300 years. http://en.wikipedia.org/wiki/Isotopes_of_plutoniumhttp://en.wikipedia.org/wiki/Isotopes_of_americium#Americium-241 Plutonium has a half-life in the body of about 20 to 50 years (some authors give 60 or 70 years or more). In other words, ionizing radiation from high LET alpha particles, which may be inhaled, ingested and even absorbed through skin, is even more dangerous! The BEIR report focuses on x-ray and gamma-ray exposure, which is considered less dangerous and destructive, than internal alpha radiation. The alpha radiation is more “destructive per radiation track” and it stays in the body over time. Gamma-ray exposure can also occur over time in a contaminated environment. A few days after Hempelmann’s March 26, 1945, recommendation that a hospital patient be injected with plutonium, Wright Langham, of the Los Alamos Laboratory’s Health Division, sent 5 micrograms of plutonium to Dr. Friedell, with instructions for their use on a human subject. The subject, as it turned out, was already in the Oak Ridge Army hospital, a victim of an auto accident that had occurred on March 24, 1945. He was a fifty-three-year-old ‘colored male’ named Ebb Cade, who was employed by an Oak Ridge construction company as a cement mixer. The subject had serious fractures in his arm and leg, but was otherwise ‘well developed [and] well nourished.’ The patient was able to tell his doctors that he had always been in good health. Mr. Cade had been hospitalized since his accident, but the plutonium injection did not take place until April 10. On this date, ‘HP-12′ (the code name HP—’human product’ — was later assigned to this patient and to patients at the University of Rochester) was reportedly injected with 4.7 micrograms of plutonium. (It is important here to distinguish between administered dose and retained dose; not all of the injected dose would remain fixed in the body. It was not known with certainty, however, how much of the 4.7 micrograms of plutonium would remain in his body.) The small amount of material injected into Mr. Cade would not be expected to produce any acute effects, and there is no indication that any were experienced. However, except for his fractures, Mr. Cade was apparently in good health and at age fifty-three could reasonably have been expected to live for another ten to twenty years. Thus, in Mr. Cade’s case, the risk of a plutonium-induced cancer could not be ruled out. and fifteen of his teeth were extracted and sampled for plutonium. The Committee has not been able to determine whether the teeth were extracted primarily for medical reasons or for the purpose of sampling for plutonium. In a September 1945 letter, Captain David Goldring at Oak Ridge informed Langham that ‘more bone specimens and extracted teeth will be shipped to you very soon for analysis.’ It remains unclear whether these additional bone specimens were extracted at the time of the April 15 operation or later. According to one account, Mr. Cade departed suddenly from the hospital on his own initiative; one morning the nurse opened his door, and he was gone.’ Later it was learned that he moved out of state and died of heart failure on April 13, 1953, in Greensboro, North Carolina. The experiment at Oak Ridge did not proceed as planned. ‘Before’ and ‘after’ urine samples were mistakenly commingled, so no baseline data on kidney function was available. Thus, the subject’s kidney function would be difficult to assess. In May 1945, 36 Dr. Stone convened a ‘Conference on Plutonium’ in Chicago to discuss health issues related to plutonium, including the relationship between dose and excretion rate, the permissible body burden, and potential therapy and protective measures. Wright Langham spoke about the Oak Ridge injection at the conference, carefully qualifying the reliability of the excretion data obtained from Mr. Cade. Langham observed that ‘the patient might not have been an ideal subject in that his kidney function may not have been completely normal at the time of injection’ as indicated by protein tests of his urine.” (Advisory Committee on HumanRadiation Experiments, Final Report, October 1995:https://ia700402.us.archive.org/10/items/advisorycommitte00unit/advisorycommitte00unit.pdf(emphasis added) Note the last statement which indicates why they conducted experiments on healthy people, and probably mostly on healthy people, including military draftees, despite claims to the contrary. Bennett Ramberg, U.S. State Department policy analyst in the Bureau of Politico-Military Affairs under President George H.W. Bush, Apr. 14, 2014: […] Ukraine confronts a nuclear specter of a different kind [than Chernobyl,] the possibility that the country’s reactors could become military targets in the event of a Russian invasion. […] Ukraine’s parliament [called] for international monitors to help protect the plants […] the angst is real. […] With the exception of the 1990’s Balkan conflict, wars have not been fought against or within countries with nuclear reactors […] military jets overflew Slovenia’s Krško nuclear power plant in a threatening gesture […] Serbian nationalists called for attacks to release the radioactive contents. […] the sheer scale of Ukraine’s nuclear enterprise calls for far greater global concern […] aging plants provide 40% of Ukraine’s electricity. […] In Ukraine, nuclear emissions could exceed both Chernobyl and Fukushima. Wartime conditions would prevent emergency crews from getting to an affected plant […] In the event of fighting near reactors, the West should prepare to ferry forces to secure the plants […] in the event of a meltdown, the West should rally both governments to initiate a cease-fire […] failure to prepare for the worst is not an option. Very early on we were advised that the vehicle fire five days prior to the “event” had nothing to do with the radiation leak on Valentine’s day. Well, guess what. It did. It is interesting to me that that determination has now been made even though no one has gone back down into the mine. That says that the reason to hide that fact is that they knew they had not properly maintained their vehicles, one caught fire, and we know where it went from there. And malpractice attorneys are doing the high-five jive all over the country.